I purchased my success kit 4 years ago and I have never regretted my decision! This kit comes with everything you need to hit the ground running. The 10 bottles are enough for your first two tastings and after that you should receive more free sets for each tasting. With the low cost of only $179, the start up cost is quickly earned back. I invested $179 in myself four years ago and I have continuously seen a return! Purchase the kit, you won't regret it! The best investment of our lives! 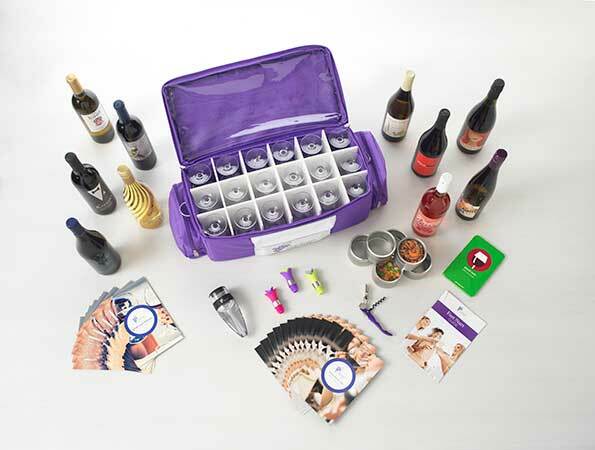 Traveling Vineyard has put together EVERYTHING you'll need to succeed! The starter kit is packed with so many thing's you even get painted glasses to bring to your tastings.. you'll definitely leave a lasting impression! The wines are the icecream on top! Cause you'll want to grow your own personal collection. I'm in love with Traveling Vineyard and this kit! Thanks for giving me the best start at a amazing future! Jump right in head first! This kit has it all, but then Traveling Vineyard throws in more to help you succeed with the kit!! It's worth way more than what you pay for and if you do it right you make the money back within your first month!!! This kit is amazing by itself for any wine enthusiast! But pair it with all of the information and business opportunity that Traveling Vineyard provides and the value is just exponential!